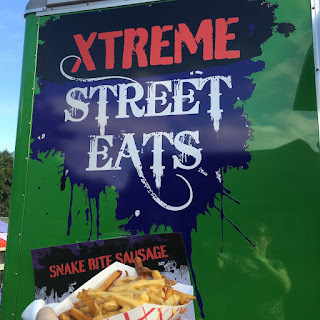 Don't you just love food trucks? They just roll up, open the window and you have a mobile restaurant right in front of you. The variety of foods you can get from food trucks is extremely diverse - I've gotten breakfasts, desserts, sandwiches, beverages, steak, potatoes, ice cream, turkey legs, salads and more from food struck windows. 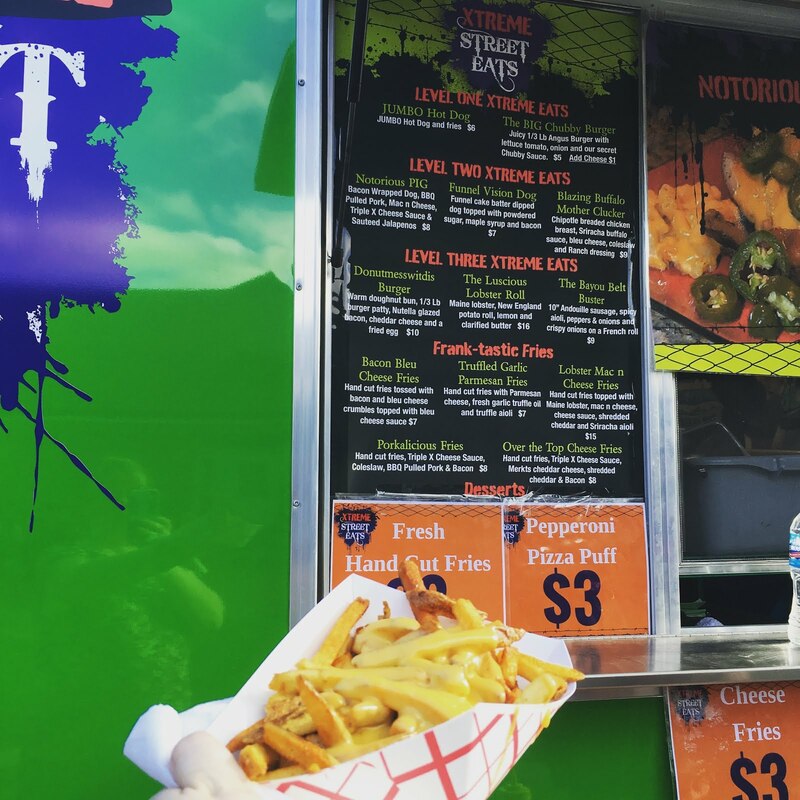 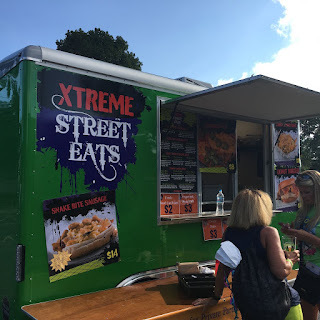 Recently, while attending the Homewood Hopfest, I checked out a new one, Xtremre Street Eats. 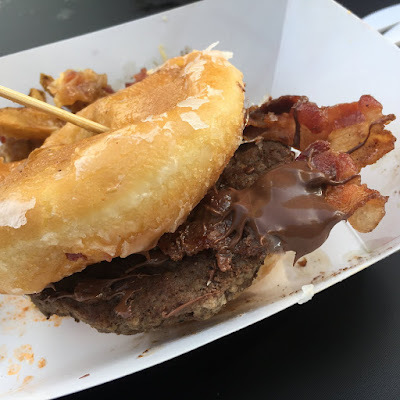 The name totally fits as you can get such things as a hot dog dipped in funnel cake batter and topped with powdered sugar, maple syrup and bacon or lobster mac and cheese fries or a burger topped with nutella glazed bacon on a glazed doughnut. 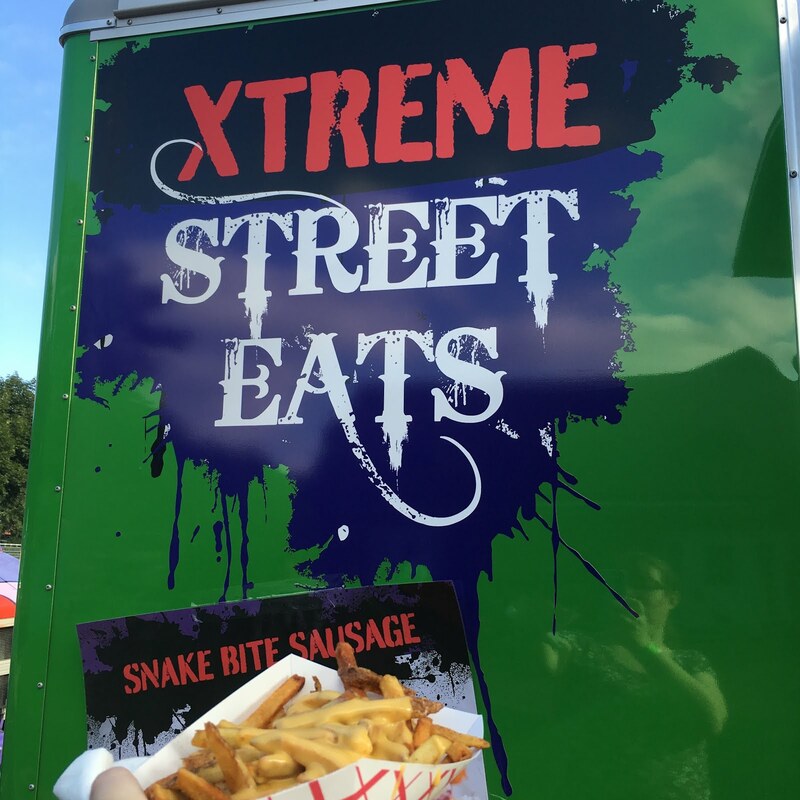 If you see them out and about, check out the eclectic offerings that go from mild - like cheese fries or a plain ol' hot dog to the ridiculous.